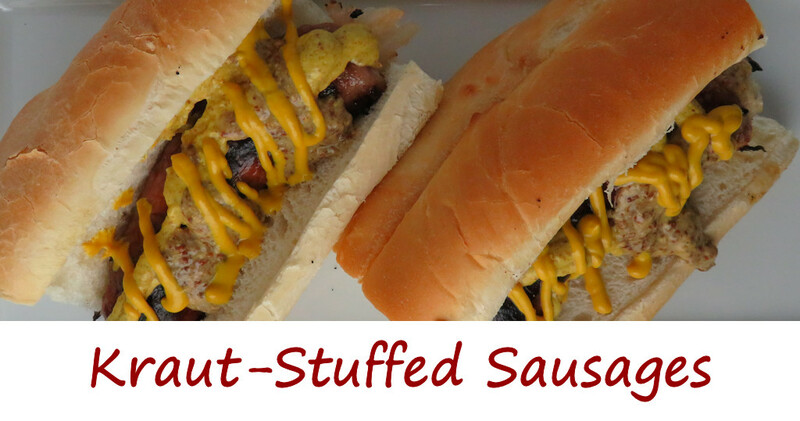 Bourbon baked beans, kraut and spicy mustard on a dog? Insanely good! Bourbon baked beans take your standard great dog and make it just fantastic. A little sweetness, then the crunch of the kraut, and the spicy kick from the mustard. Everything great in every bite. I coulld’ve eaten more of these German Cowboys dogs than I’ll ever admit online. Or admit even in person for that matter! 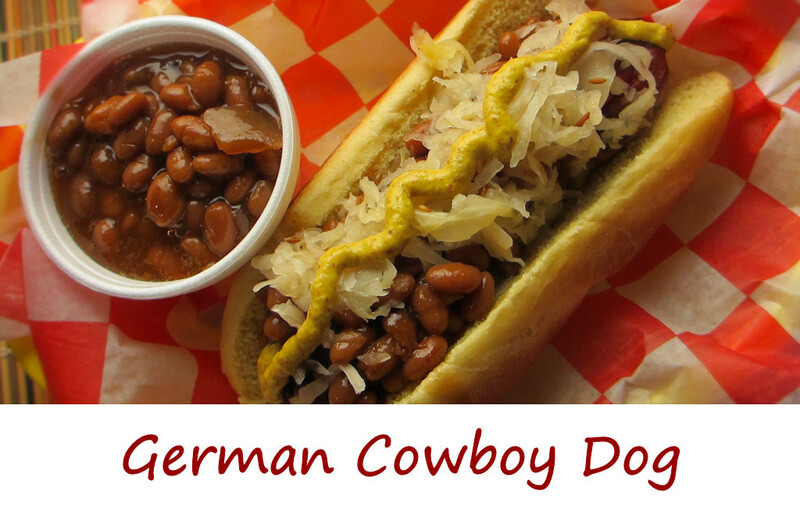 The German Cowboy dog is another great menu item I ran across from Duke’s Gourmet Hot Dogs. They have the most fantastic hot dog menu I’ve ever come across. Every single one makes you drool! Try my American cowboy dogs too. Giddy up! Add dogs to buns. Top with the warmed beans and kraut. I’ve made mustard-based BBQ sauces before, but nothing even comes close to this Atomic BBQ sauce. It takes mustardy sauces to a whole new place, thanks mostly to the addition of pickled banana peppers. Of course, there’s a pretty good kick to the sauce. It is called Atomic BBQ sauce for a reason. Perfect on a rack of smoked St. Louis-style ribs, and outstanding on a pulled pork sandwich. For a little extra kick, substitute spicy banana peppers. Don’t want the heat? Substitute jalapenos for the habaneros. You’ll still get a kick, but it’ll be tame enough for just about anyone. For even less of a kick (but still some) try my hot pepper jelly BBQ sauce too. This sauce is a great thing. Definitely my new favorite when it comes to non-ketchup-based BBQ sauces. Whisk all ingredients except salt and pepper together in a bowl. For a less chunky sauce process in a blender until smooth before using.